Published by the Coloradoan Newspaper, Fort Collins. 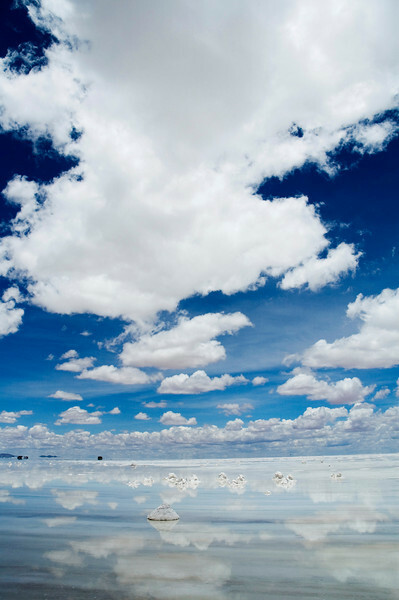 Bolivia is a country full of surprises, both good and bad. 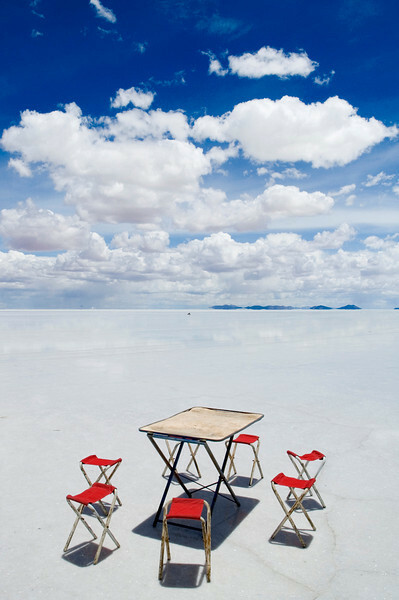 After seriously considering crossing it off our list of countries to visit it ends up offering the biggest surprise of the trip so far and most beautiful sight I have ever seen, the Uyuni salt flats. 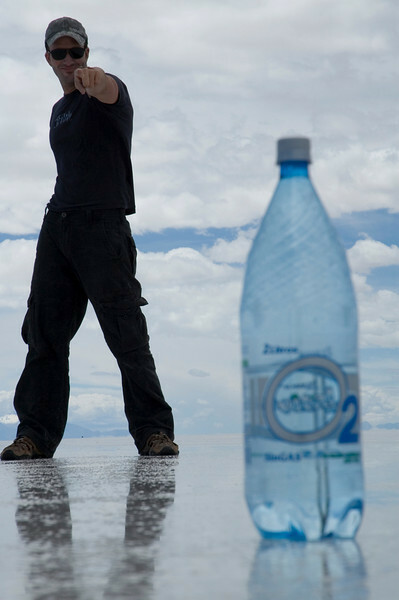 The altitude in Peru was starting to take its toll on the both of us as Alex and I made our way to the Bolivian border, high in the Andean Plateau. Before we left Austin Texas to start the long 10,000 mile drive South to Alex’s home town of Puerto Alegre, Brazil we weren’t sure if we would be stopping in Bolivia. 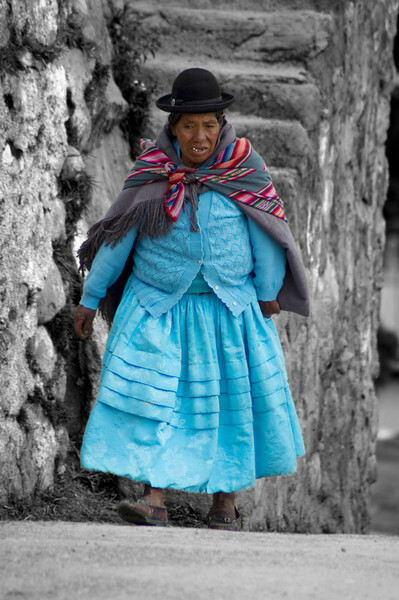 With its long standing reputation for political instability and social unrest, Bolivia is well known for its volatile nature and a tendency for solving social problems with street riots, road blocks and rock throwing. It wasn’t until we were leaving Cuzco and the famous ruins of Machu Pichuu that we decided Bolivia had to be a part of our epic South American road trip. 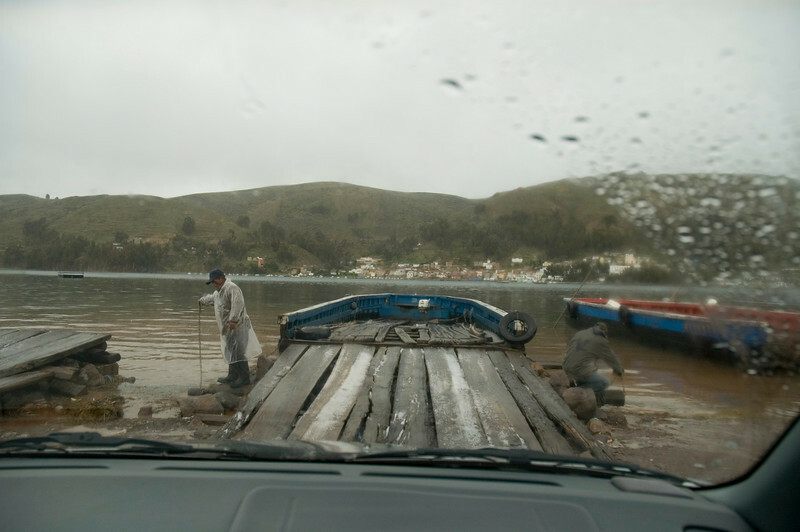 We crossed the tiny Bolivian border at Copacabana on Lake Titicaca on a quiet Sunday afternoon. While we had our passports stamped and filled out the usual mountain of paper work for the car, we sat back and watched as life unfolded around us in a strange new country. It always amazes me how you can immediately feel a change in culture between two countries as soon as you cross a border. How a simple line drawn in the sand can dictate such a dramatic change in the way people think, act and go about their daily lives. I liked Bolivia the moment I stepped foot in the country, it felt different and it intrigued me, two of the main reasons why we leave the comfort of our own homes to go out there and explore the world. Besides it is dirt cheap, a backpackers paradise and one of the few countries in the world where you can get a three course meal and a coke for $1US. We stood and watched a small group of middle aged Bolivian locals as they sat gathered in a grass clearing across from the small town church next to the border. Talking and laughing with animated hand gestures while they devoured large bottles of local beer by the case. The women were wearing traditional, multi colored dresses that puffed out from their hips, hiding any resemblance of the female form and woolen shawls they had borrowed from the movie set of Little House on the Prairie. With matching waist length hair, tied back in a single plat, topped off with 1930s bowler hats that were three sizes too small and perched precariously on their heads at a 45 degree angle. The men were all wearing identical, gray, two piece tweed suits, with matching Indiana Jones style hats. 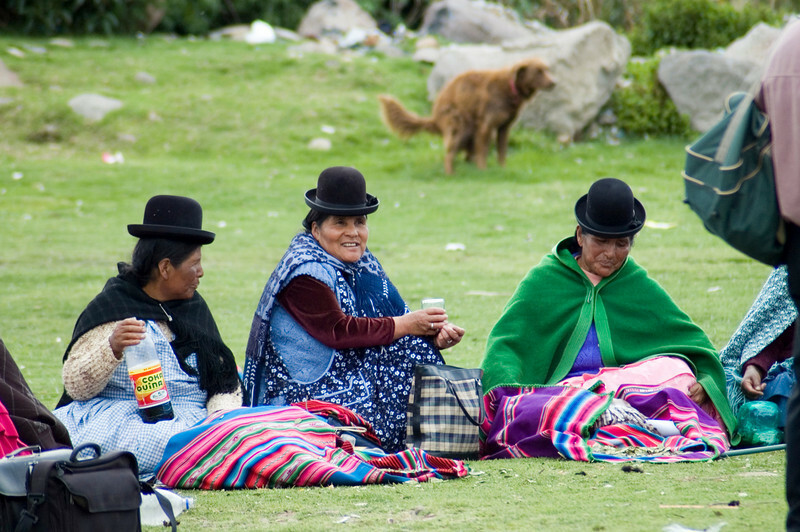 We only planned on staying one night in Copacabana before heading to La Paz the next day. But unfortunately the roads in and out of the Capital were blocked by boulder wielding truck drivers, protesting against a recent 500% tax increase for all commercial vehicles. We were stuck and there were only two choices, wait it out and hope the riots and protests were short lived or give up on Bolivia and back track through Peru and into Chile. We decided to relax for a few days and give ourselves a chance to acclimatize while we waited for things to calm down in the Capital. Besides after three days at above 12,000ft I felt like I had aged five decades overnight and even the simplest of daily activities had become a painstaking ordeal. After a much needed two day rest we hit the road again and continued south. We left in the early hours of the morning while it was still dark and close to freezing temperatures, in the hope that we could catch the protesters napping and make it past La Paz before they were back in full swing. We weaved our way through the boulders and burnt out remains of the barricades that the military had cleared from the day before as we slowly crept south past La Paz and out of harm’s way. 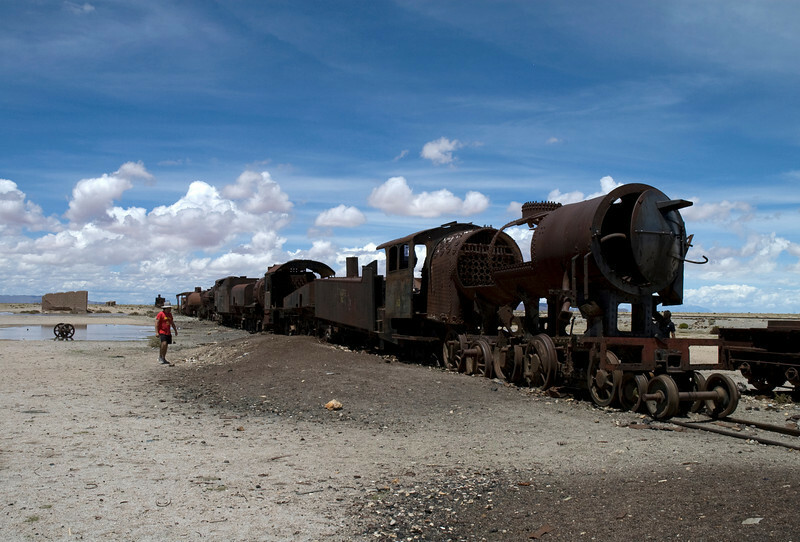 We drove three hours South of the Capital to Oruro, parked the car at a local garage and managed to get one of the last seats on a late afternoon train headed for the salt flats, seven hours away. Without a 4x4 we weren’t about to mess with the roads any further south. With a scattered maze of muddy tracks through the desolate Bolivian country side and a series of rivers without bridges, we would have spent more time pushing our trusty 95 2WD Honda Accord, than driving it. 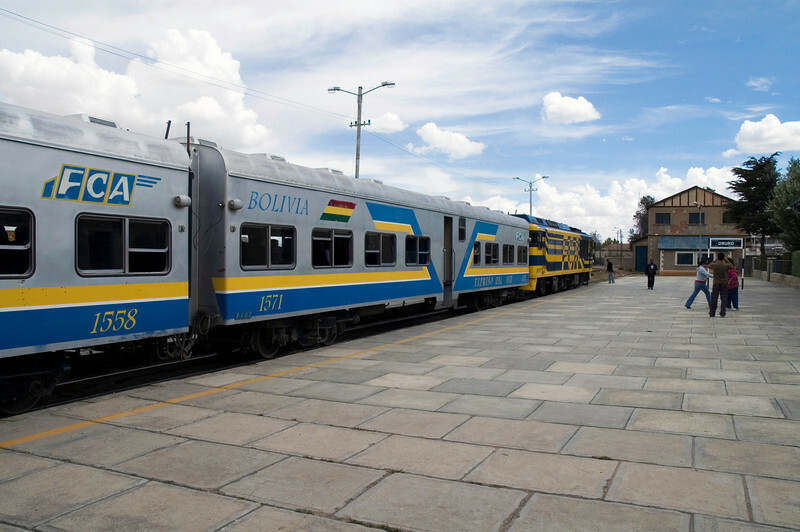 We arrived late on a Friday night after a fantastic train ride through the picturesque Bolivian countryside. As we sat in the dining car eating our delicious $2 steak meals (at least we were told it was steak) we watched a world go by that was like something out of a Hemingway novel. With massive herds of brown, black and gray Lama, flamingo filled lakes with snow capped mountain backdrops and a scattering of small, rustic, rural villages it was easy to keep ourselves entertained. There is something very peaceful and somewhat zoo like about watching life in a strange country from a distance, from the safety of a moving train. As noisy and intrusive as you would imagine a 12 carriage, 1960s Russian built train would be, while it rattled it way through the tiny mountainside villages, the local people barely gave it any notice as they went about life as usual. We continued our whirlwind tour of Bolivia early the next morning but not before my near death experience with an electric shower. I know what you’re thinking electricity and water don’t exactly mix, well in South America unfortunately electric showers are all the rage. If you’re lucky the bare wires won’t be hanging haphazardly from the walls, dangling dangerously close to the water that is meant to clean you not kill you. I made the mistake of closing the small metal framed bathroom window while I was taking a shower. Unfortunately for me it turned out that part of the rudimentary rigging of the electric shower was attached (earthed) to the window. What better way to start the day than a lukewarm shower in a freezing bathroom and 20,000 volts of electricity screaming down your cold wet arm. It’s funny now but I assure you it was quite frightening at the time. At high altitude the sky turns an incredibly deep shade of blue, almost black at times, and although it had rained for most of the night, there wasn’t a cloud in the sky and it looked like it was going to be the perfect day. We grabbed a cup of tea and quick bite to eat in the local town square before organizing a tour for the day and by mid morning we were well on our way. With three barely sober 30 something Irishmen, two middle aged Panamanian women, our trusty driver, Alex and I jammed into a mid sized Toyota Land Cruiser it promised to be an interesting day. With eager anticipation we finally left the salt museum, the last of our completely pointless, mandatory pit stops and headed east along a dusty, pothole filled, dirt road. Out in the distance the massive, white, shimmering mirage of the salt flats started to appear. Our kamikaze driver insisted on racing the other tourist laden 4x4 vehicles that tried to pass us, while we held on for dear life, bouncing around in the back seat, trying not to hit our heads on the roof. As the dust settled and the road finally flattened out the mirage was gone and what looked like a massive sheet of blinding white ice spread out before us. We stopped at the entrance of the flats and I climbed up on the roof of our 4x4; with the best seat in the house I would have an uninterrupted view for the rest of the day. We drove out into the salt flats for about a mile before stopping for some photos and a brief picnic lunch of chewy lama steaks, rice salad and watermelon. It was perfectly flat for hundreds of miles and I could see the earth bend as it made its way to the horizon. It was more beautiful than I could have ever imagined and like nothing else I had ever seen. 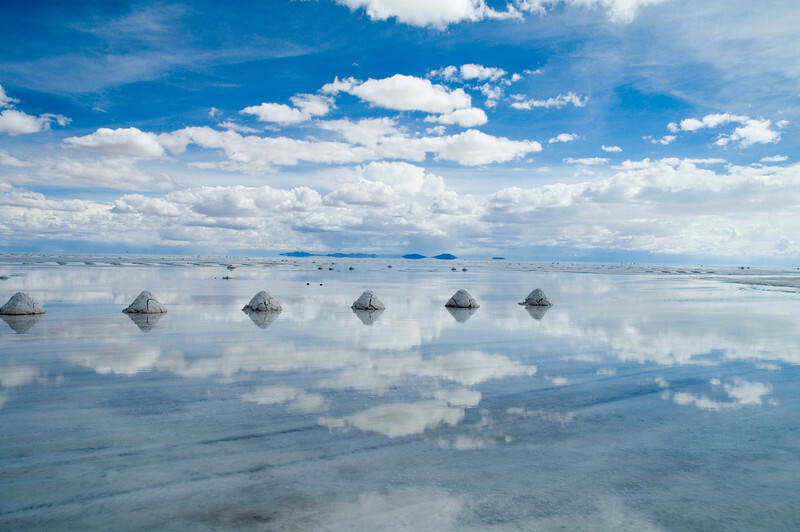 Before we arrived in Bolivia I made a point of not looking at any pictures of the salt flats in the hope that it would be a pleasant surprise. In fact I didn't really know what to expect at all. It was like going to a movie that you knew nothing about and having it turn out to be your favorite film of all time. A terrible analogy I know but you get the idea. 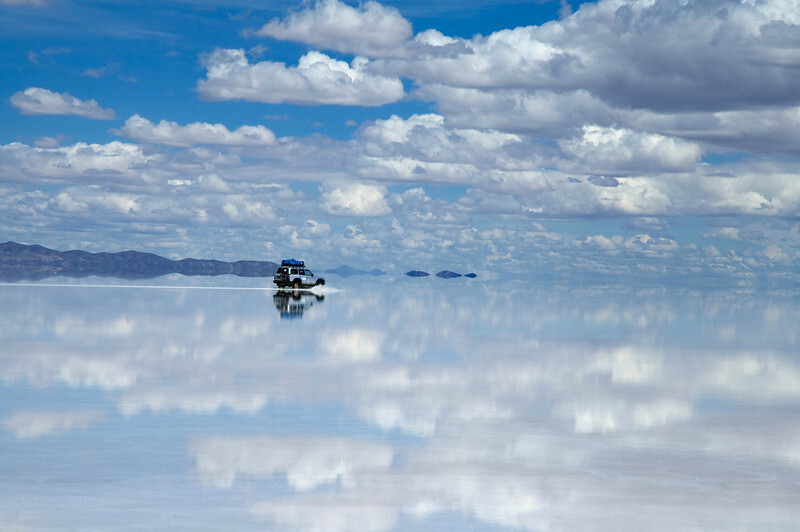 For most of the year the Bolivian salt flats are a never ending, white, desert like plain in the clouds, a 12,000 square km wasteland, nestled high in the literally breathtaking, Andean Plateau. When it rains and they are covered with just a few inches of water it turns into a massive, reflective, shallow water lake. 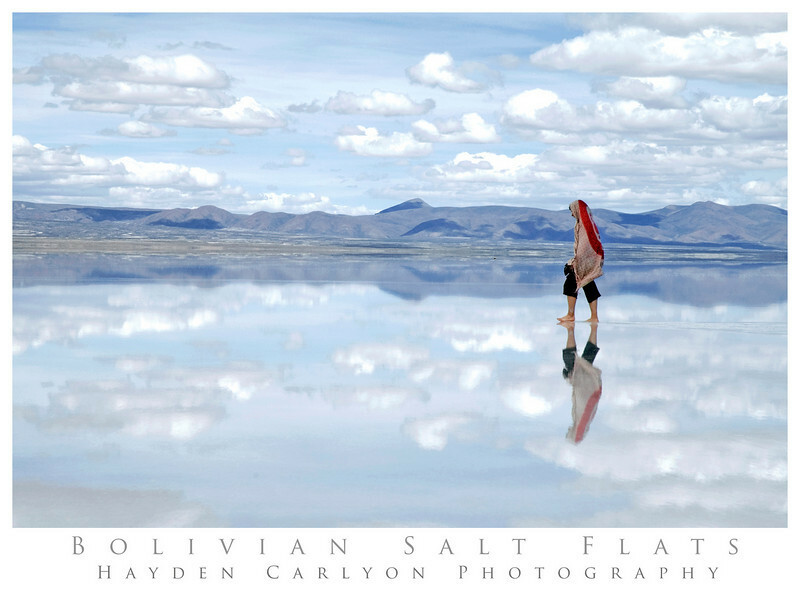 With a recent run of bad weather, most of the salt flat had been coated with more than 6 inches of rain, turning it into a flawless mirror that reflected the sky from all angles. The horizon where the salt flats and the sky met had merged into one and I couldn't make out where the earth ended and the sky began. I could have spent the whole day there taking photos, absorbed in the surreal beauty of my surroundings, but I was assured by my driver that our picnic stop was only the beginning and the best was yet to come. As we drove further out into the flats, any resemblance of the dirt highway that had brought us there disappeared and we were lost in a never ending sea of blue and white. A 360 degree mirror where the water, the sky and the horizon all blend seamlessly together, to create a mouth watering landscape of other worldly proportions. My brain struggled to process what my eyes were seeing as we drove deeper into the salt flats and were surrounded by pure, unadulterated beauty. Maybe it was the perfect day, the perfect conditions to be up there, maybe we got lucky. But as I hung my legs over the roof rack and I looked down at the reflective wake of water that we left behind, I was speechless, lost in what must be the most beautiful place on earth. 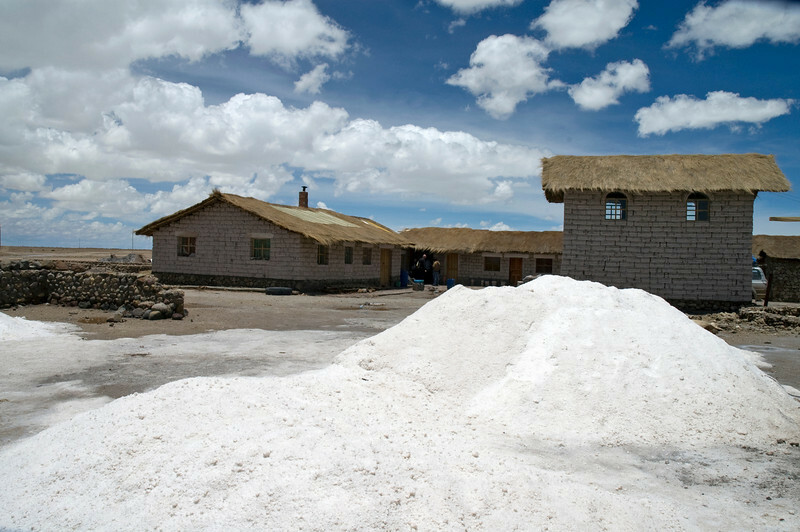 We drove out across the flats for another ½ hour, before we came to the Uyuni Salt Hotel, a small, recently abandoned, tourist hotel in the middle of the salt flats that is made entirely of, you guessed it, salt. Under normal circumstances a hotel built from huge, rectangular, 400 pound blocks of salt would have captured my attention, for at least a few minutes anyway. But it could have been made of gold for all I cared, I was in my own little world, still lost in a trance, hypnotized by my surroundings. As soon as the car stopped I jumped down off the roof and escaped from the salt hotel and the crowd of snap happy tourists that surrounded it. The sharp, undissolved salt crystals, rubbed against the soles of my bare feet as I waded out into the shallow, lukewarm, rain water. I stood there completely alone, in the middle of nowhere and stared out into the vast expanse. It was transcendentally peaceful, with no people, animals or cars, no sound at all, it was as if life ceased to exist. I tried to absorb as much of the dream like environment as I could in the short time that we had to spend there, before reluctantly dragging myself back to the car. I sat up on the roof again and watched me feet turn an incandescent white as the salt water dried in the wind. I felt content, completely at peace after having spent the day immersed in an indescribable, natural beauty. I gave up searching my brain trying to find another place in the world that I could compare it to, I gave up trying to justify why I had found it so overwhelming, so incredible and just let it be.